2019 will see Johnny Westwood's Debut Single "Just A Kiss" being released from his debut album "The Windows Or The Walls" written by Nashville's very own top writers.Johnny is very pleased to announce his UK Tour for 2020 and is looking forward to getting back on the road again. Johnny will be bringing you lots of Country Classics from George Strait, Alan Jackson,right through to those golden oldies from Jim Reeves and Don Williams and including some of Johnny's own material from his Debut Album. Johnny has had great success as a country artiste performing sell out concerts over Europe and is now extremely excited to be bringing his music back to his home Country. 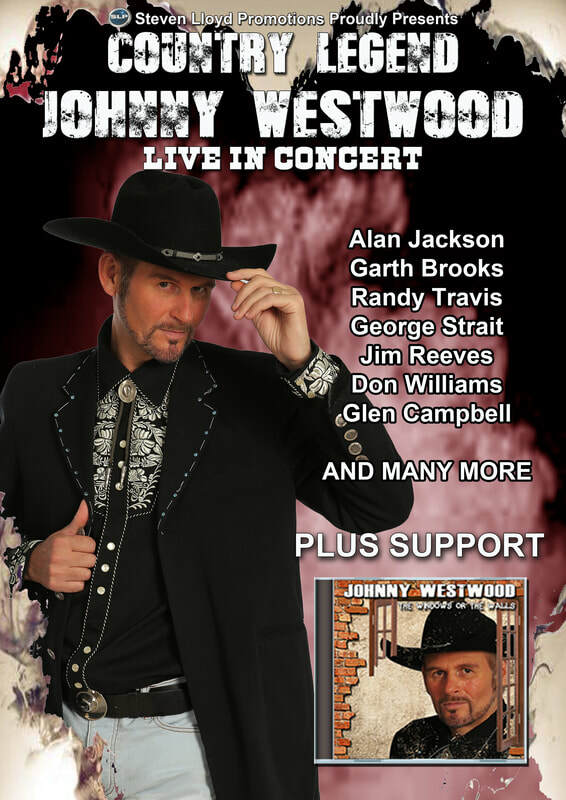 So get your stetsons ready and polish off those cowboy boots before Johnny Westwood rides into town and to a Theatre near you! Johnny Westwood has a fantastic voice and is one of the best one man Country acts i have seen in years.